Marcia Alesan Dawkins writes at the Huffington Post that Scott Brown's misguided challenge to Elizabeth Warren's Native American ancestry is entirely predictable. This year's election season is "the battle of the racial passers." While many have fixated on the authenticity of a multiracial President Obama and a Latino Mitt Romney, questions of racial identity and passing have taken center stage in the Massachusetts Senate race between GOP incumbent Scott Brown and Democratic challenger Elizabeth Warren as well. To put it bluntly, Brown is accusing Warren of "passing," or representing herself as a member of a different racial group than the one to which she belongs. These accusations are to be expected, as I wrote in my new book, Clearly Invisible: Racial Passing and the Color of Cultural Identity, which deals with how people from all walks of life reconcile who they are with who society tells them to be in a society where racial definitions are constantly changing. Brown resurrected the theme of racial passing last week when his campaign released an ad called "Who Knows," which is a mashup of television reports featuring Warren being grilled about her claim to Native American heritage. 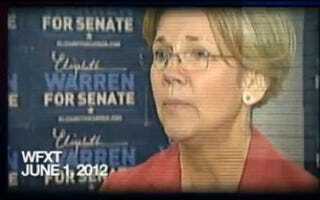 "Elizabeth Warren is trying to put questions about her heritage behind her," announces the newscaster in one of the clips. Read Marcia Alesan Dawkins' entire piece at the Huffington Post.